Welcome to the home of THE RIDGE BOOKS, located in Calhoun, Georgia and owned by Bob and Lee Linn. 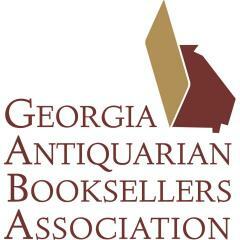 Please search or browse our inventory of hard to find, out of print, used and rare books and ephemera. Use our Search feature to check for books that are not listed and we'll try to locate them for you. If you order totals $25 or more, domestic Media Mail shipping is free. The USPS has dramatically increased international shipping rates. The listed rates are estimates. Please ask for a quote before ordering. We will ship as economically as we can. We are keeping Media Mail rate the same, but if you want Priority shipping, tell us and we'll check both flat rate and by weight. We do not have an open shop, but we are always glad to open the book room for you. Call ahead to make sure we are here, 706-509-8734 or 706-263-0152 (Lee's cell). By: Du Bois, W. E. B., Ida Wells-Barnett, et. al. Casey Jones, Wallis Sanders, Et. Al.